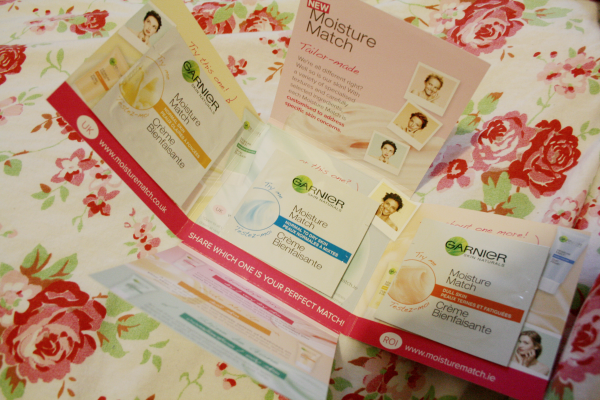 Yesterday morning my Garnier Moisture Match free sample came through my door. I'm really excited to try these out, but first I thought I would put a post up for everyone who hasn't taken advantage of this yet! 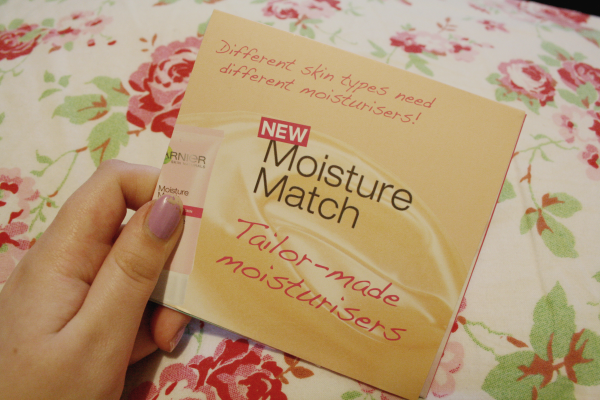 The Moisture Match collection is five different moisturisers tailored for different skin types. This includes: normal skin, normal/dry, dry/very dry, dull skin, combination/oily skin. On the website you can take a 'find my match' quiz which allows you to find out which moisturiser is best for your skin type if you are unsure. I did this and it suggested I try the normal skin moisturiser which is suppose to protect your skin and glow. When I filled in the free sample form, I asked for the Protect and Glow for normal skin moisturiser, but I was pleased to see that they actually included three moisturisers in the pack! I got normal skin, normal to dry skin and dull skin. 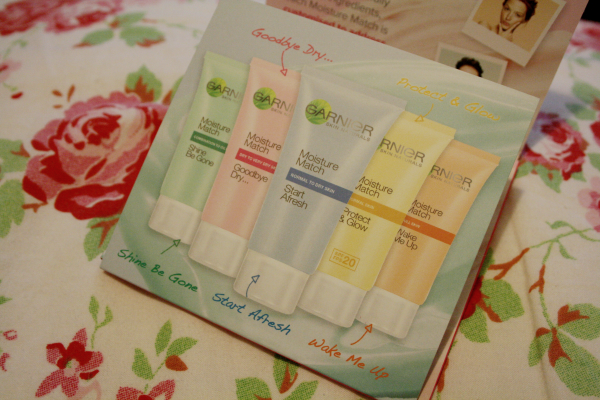 This will allow me to try all three and to see which one is truly best for my skin! I'm so excited to try these out because my skin really needs something to refresh it. I am most excited for the Protect and Glow moisturiser as it's suppose to give you a 'just got back from the beach glow'. Have you tried any of these out yet, what do you think? That's awesome that you got some freebies. You must tell us your thoughts later on! very nice *_* your blog is very lovely and interesting. im glad if you visit my blog, too <3keep in touch! Haven't tried these, it's great you got 3 samples to try!